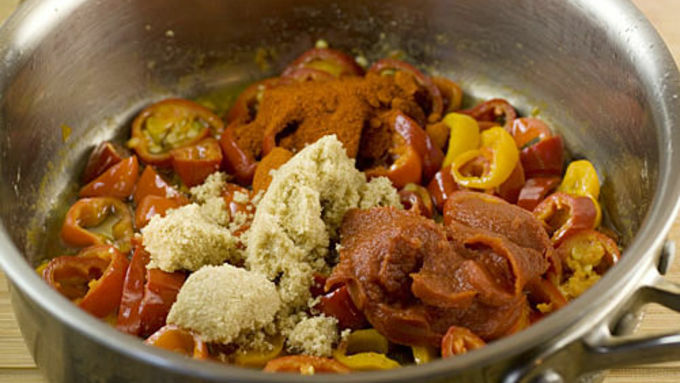 To prepare sauce, chop all ingredients roughly. Add butter to a medium pot and melt over medium heat. Once melted add all hot and sweet peppers and garlic. 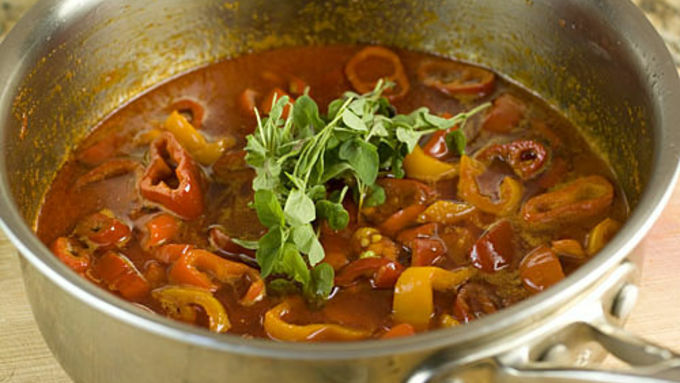 Cook for 15 minutes, stirring frequently until veggies are soft. Add vinegar, tomato paste, paprika, brown sugar, and pinch of salt and continue to cook down for another 5 minutes or so. Add oregano at the very end and remove from heat. Let cool for a minute or two. For wings, sprinkle wings with flour until lightly covered. You might not need a full cup. 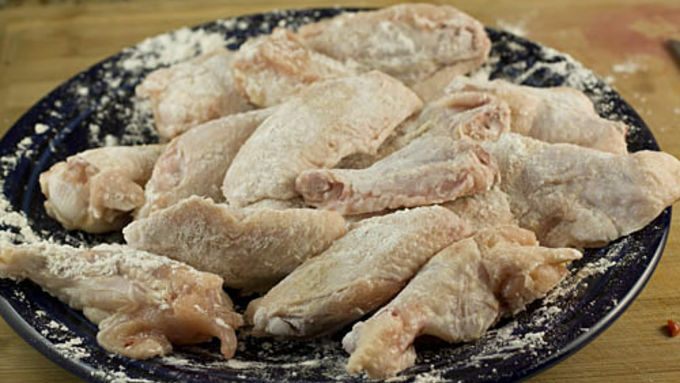 Each wing should have a light dusting of flour. 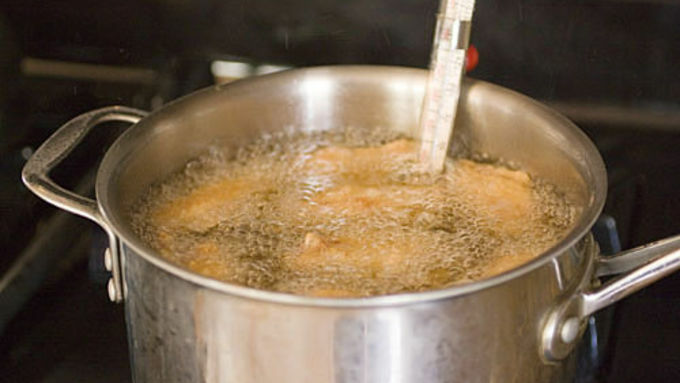 Deep-fry wings at 350°F in a few quarts of oil until cooked through, about 8 minutes. It's always a good idea to test one to make sure they are done. 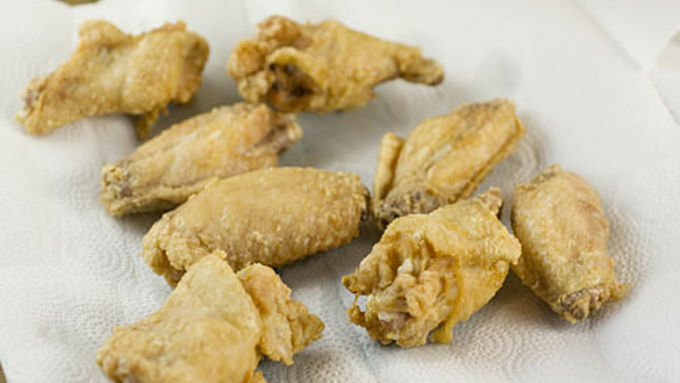 Let wings drain for a minute when they come out of the fryer on a paper towel. Toss wings in sauce until lightly, but completely covered. Serve right away with blue cheese! 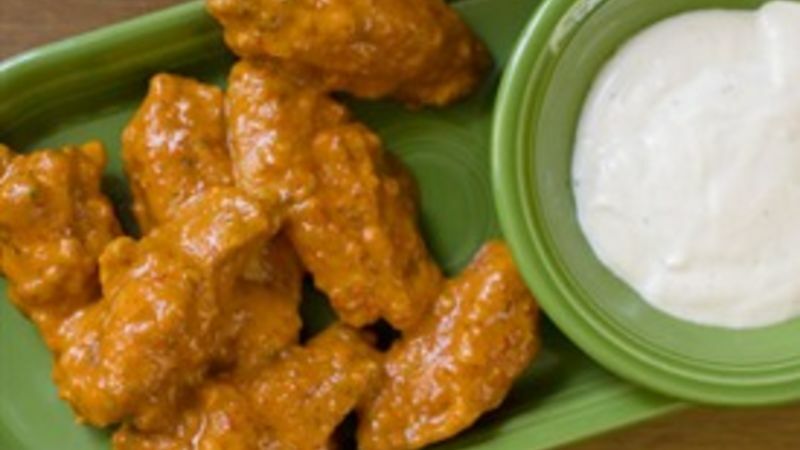 When people think of chicken wings they mostly picture the same thing: fried wings in a buffalo style hot sauce. I imagine that 95% of the wings served are exactly like that, and with good reason. Those are good wings! Especially at a bar with a few beers. But even though chicken wings are one of my favorite bar foods, I sometimes get sick of the same old thing. So when I make them at home, I keep a few things the same, but also try to change them up a bit. I almost always fry my wings, because I find it’s the best way to give them a crunchy exterior and juicy interior. But I love changing up the sauces. 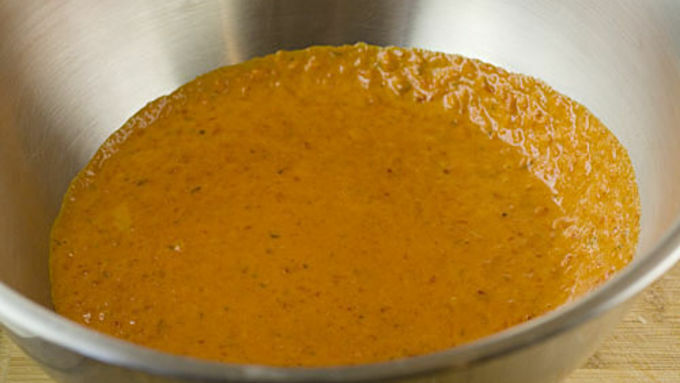 There’s a whole world of delicious sauces out there and it seems silly to just resign yourself to the same old spicy red sauce. So this is a different spicy red sauce. It’s based on a Peruvian style called Peri Peri that’s normally grilled. I made up some sauce (with a few substitutions that work well) and tossed my fried chicken wings in it. And that’s how Peri Peri Wings were born. The sauce for these wings is really the star of the show. Traditionally, it’s made with these very small (very hot) red chili peppers called Piri Piri peppers, which are pretty hard to find in the states. They are also labeled as bird peppers in some markets. 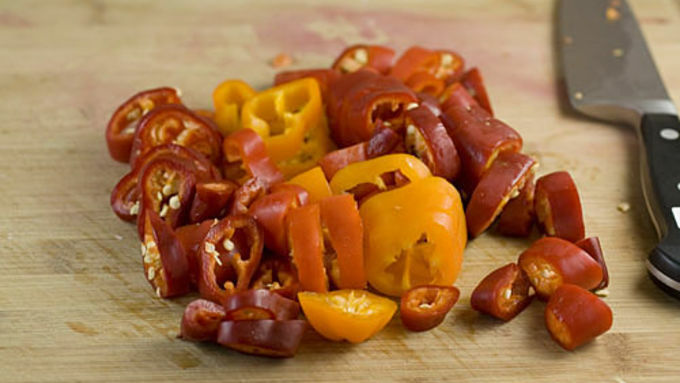 If you can’t find them though, just use red jalapeños for the same effect. The wings are definitely spicy but they aren’t as one dimensional as normal hot wings. They have a lot of flavor and some sweetness from the brown sugar. They absolutely rock and your friends will be asking for the recipe!